This Christmas, your donation can help protect young people from the risk of becoming homeless. You can give someone like Starr the guidance, support and time needed to find a home as well as the confidence and skills to live and work independently. …having gone through 10 different foster homes and without any close family. Starr is one such 19-year-old who had really struggled to find any stability. Youth in these circumstances face many challenges, increasing their vulnerability and the risk of becoming homeless. Not having a home can make simple things like being able to get access to healthcare, attaining a driver’s licence, or holding a job incredibly difficult. Lifewise’s Youth Housing Service provides safe housing and support for youth who, like Starr, don’t have a safe or stable place to live. Starr found herself in our programme with other 17- to 24 -year -olds who were either homeless, at risk of becoming homeless, or had a serious housing need. Starr found the team at Lifewise encouraged her towards self-sufficiency by using a positive youth development approach. She and other youths receive opportunities to exercise leadership, build key skills, and get involved in their communities. Starr was very surprised by the effort that people like Ariana had put into supporting her. 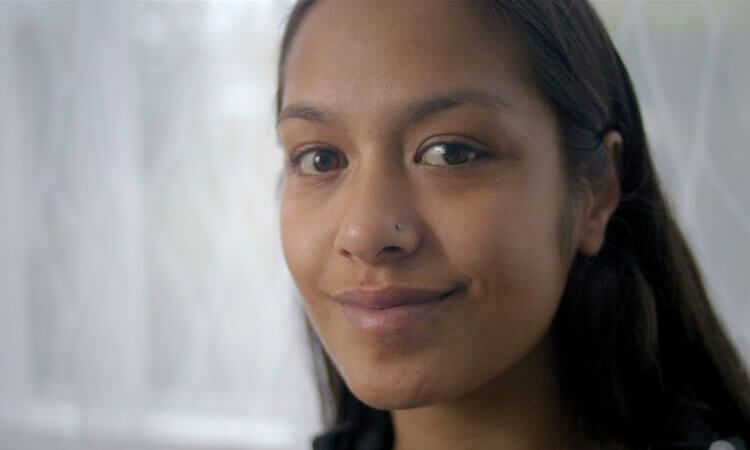 Starr is one of the Rangatahi on the Lifewise Youth Housing programme. It wasn’t enough for Starr to be living independently. The most crucial part was having wrap-around support to ensure Starr got back on her feet in a holistic sense. All of these things cost money and that is what a young person who is just getting on their feet simply doesn’t have. Over a number of months of support from Ariana, Starr is now extending herself even further by looking for a private rental and her first home living independently. She has a job and is confident about her future. I hope you can see that with your support, we can ensure more young people like Starr, who have had a rough start in life, find new opportunities. They are able to escape what can often be a vicious cycle of homelessness and become confident new men and women – contributing to their best potential in society. What a complete turnaround! Starr, seen here enjoying time with Ariana, her Lifewise Youth Worker.